From Spring Breakers to Winter Texans, South Padre Island is a destination on the rise in popularity and recently was awarded a top beach destination place by a Canadian magazine. SOUTH PADRE ISLAND — Canadians love South Texas island life, and they’re spreading the word. South Padre Island was named a top 2018 beach vacation destination by magazine Canadian Traveller. It earned the prestigious title thanks to its affordability, eateries, entertainment and nature attractions. 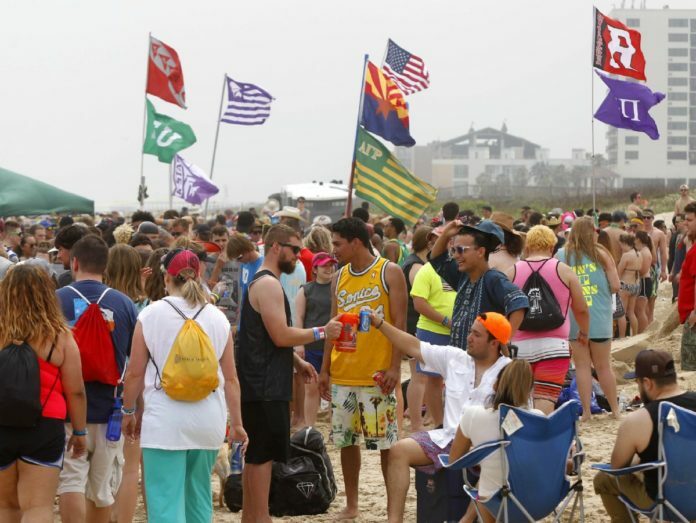 Keith Arnold, director of South Padre Island Convention and Visitors Bureau, said Canada and the Midwest are the island’s biggest source of visitors. His office works hard to attract visitors from the United States’ neighbor to the north. “Canadians are a very important part of Winter Texans and visitors all year round,” he said. The number of Queen Isabella Memorial Bridge crossings leapt to 605,351 in January 2017, an increase of more than 26,000 from January 2016, according to visitors bureau data. Hotel occupancy tax revenue increased by nearly $251,000 from 2016 and 2017. Dan and Alexandra Petr have traveled from their home in Frankford, Ontario, to spend winters on South Padre Island for about 10 years. They enjoy the beach, fishing, golfing, restaurants and view of the Gulf of Mexico from their RV in Isla Blanca Park. “We like the people here. They’re very friendly,” Dan Petr said. “And we love the seafood,” Alexandra Petr added. On the beach, Leslie Lynch wore flip-flops as she walked her dog in the chilly, drizzling weather. It was still a nicer day than in her native Keewatin, Minn., where the temperature was -6 degrees. She first visited South Padre Island on what was supposed to be a cross-country trip four years ago and has made it her winter vacation spot in the years since. “We loved it so much we didn’t move on,” Lynch said.